The Center for Scientific and Technological Equipments. 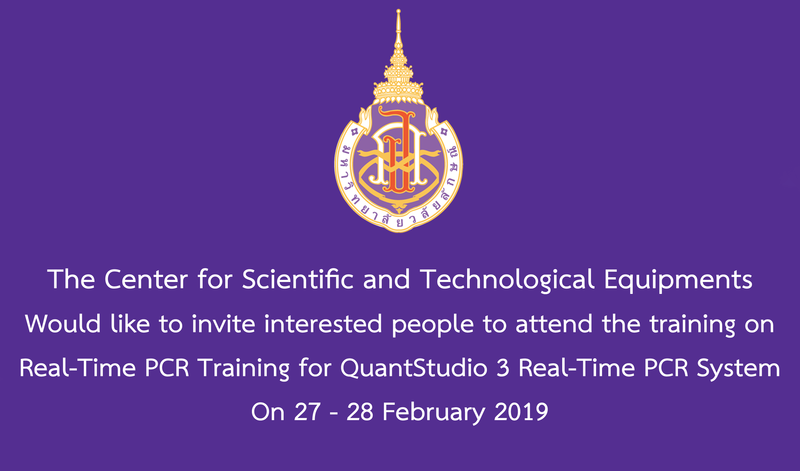 Would like to invite interested people to attend the training on “Real-Time PCR Training for QuantStudio 3 Real-Time PCR System” On 27 – 28 February 2019 at the Physiology Room 2 B6 The details are as follows. Next The Center for Scientific and Technological Equipments Walailak University. Thank you to the donors for making donations to the body. Academic Year 2018.